When a specific area has been designated to be used as a place for future processing, it is essential that the surface be smooth and spotlessly clean. The way this is achieved is by rubbing buffing compounds on the area. These compounds can be purchased in several different forms like tubes, sticks, bars, and sprays. Each one of these forms is designed for a specific buffing action, and the process requires the use of a special buffing wheel. The melting temperatures are extremely high for these compounds, which makes the residue they leave behind extremely hard to remove from parts and equipment they are used on. This is caused from the changes that take place with the state of the compound as they heat up during the buffing action. The reason it is so vital to remove the residue that buffing compounds leave behind is they can cause imperfections to plating or painting operations that need to be performed as future tasks. The best and most effective way to thoroughly remove particles of buffing residue is with an ultrasonic cleaner. The cavitation action of these powerful cleaners is precisely what’s needed to ensure that parts are thoroughly and spotlessly cleaned of all traces of compound particles. When this action takes place, a countless number of microscopic bubbles implode against the equipment or parts that are being cleaned, which allows for the removal of any residue particles that may exist. On the bottom of the cleaning unit’s tank you will find transducers that are powered by a generator, and this is what causes cavitation to occur. The way that the operation process of an ultrasonic cleaner is designed is to run on frequencies, and these are measured by thousands of cycles that occur in each second, which is otherwise known as kilohertz (kHz). When the objective is to clean parts that are delicate or for fine cleaning, a machine with a higher frequency of 45 kHz is required. When the objective is to clean the residue from buffing compounds or contaminants that are tenacious or coarse, a machine with a lower frequency of 25 kHz is required. There are also cleaning units that feature a multi-frequency function. The ultrasonic solutions that are used for cleaning are biodegradable concentrates that are designed to clean particular items. For instance, alkaline cleaning solutions that are silicate-free have been designed to work well for removing buffing compounds from such items as nickel, ferrous metals, titanium parts, and chromium alloys. Cleaning solutions that are neutral and free-rinsing have been designed to work great for removing buffing compounds and polishing paste from such items as aluminum, precious metals, and other pieces that are sensitive. Regardless of the type of cleaning solution you choose to use, you’ll want to make sure that it is degassed. This is a process that helps to make certain all entrapped air that can inhibit cavitation is removed. 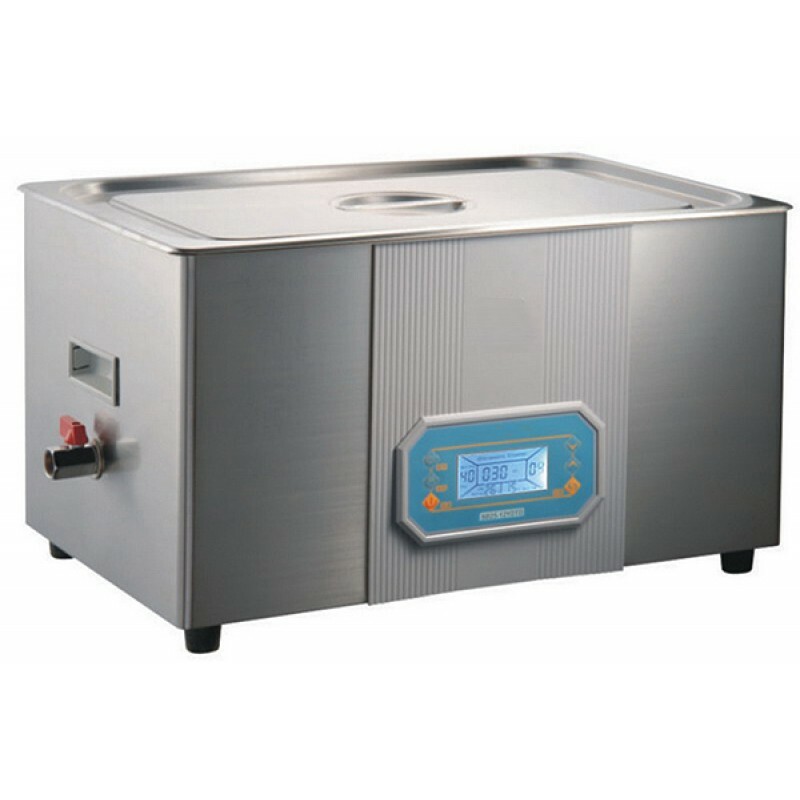 There are some ultrasonic cleaners that have been designed with a degassing feature. If this isn’t a feature on your machine, the degassing function can also be done by running the unit for about 20 minutes. What Makes a Landing Page Most Effective? Well written article. This has always been my perspective on Ultra Sonic cleaners.